Come visit this great exhibit from the Smithsonian Institute here at the Redwood Markosian Library! This travelling poster exhibit, created by the Smithsonian Institution, is designed to encourage dialogue, engagement, respect, and participation in our communities. In an increasingly interconnected world, it’s more important than ever to inspire people of all ages to create positive social change. All are encouraged to consider the consequences of our everyday choices—to discover how “little things are big”—and to make a difference in their own communities. 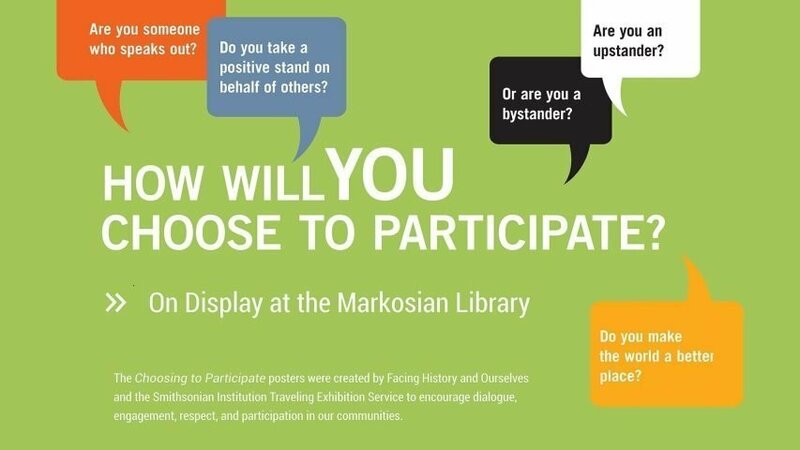 Come visit this special exhibit at the Markosian Library during April and May of 2019!